We have many students and young workers in our congregation. 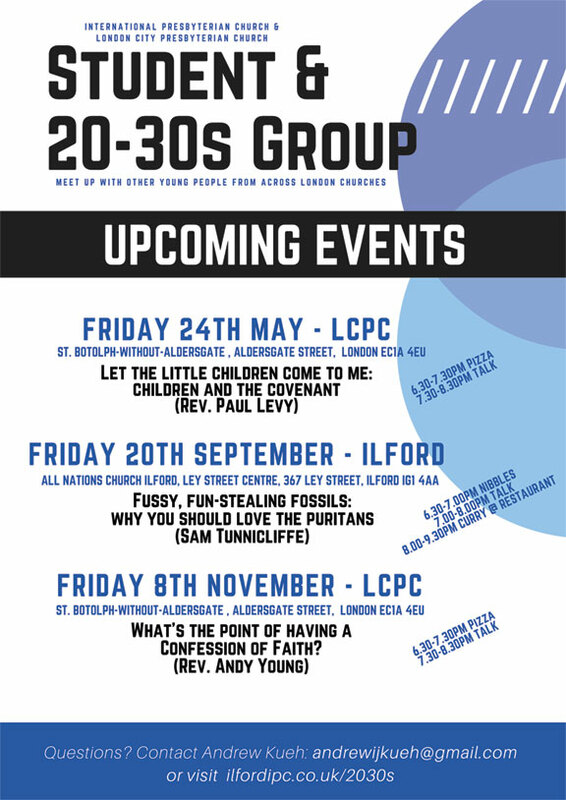 Our Twenties & Thirties programme exists to make sure that there is extra biblical teaching provided on topics of particular relevance to this age group, as well as providing opportunities to meet with one another for fellowship. Twenties and Thirties meets once a month. We usually have a speaker and there is always food. Past speakers have included Song Tsai, Brad Bitner and Chris Ansberry (all from Oak Hill College) Simon Arscott (pastor at All Nations Church, Ilford) and Dan Borvan (Pastoral Intern, Merimack Valley Presbyterian Church, Boston, USA). 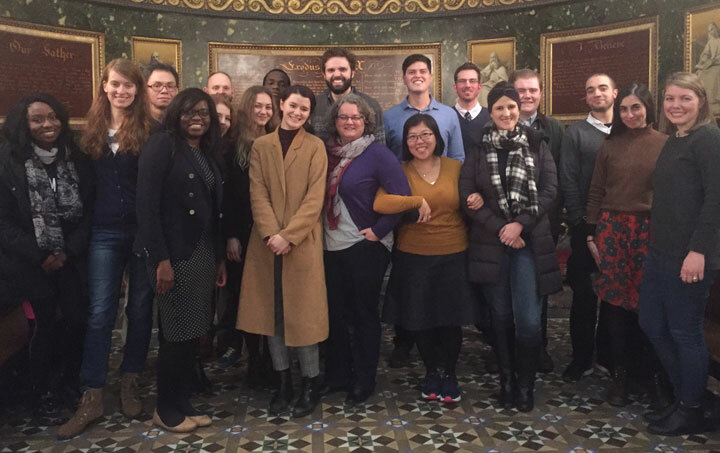 In addition to our own meetings, we have recently started meeting with young people from some of the other reformed, presbyterian churches around London. If you (roughly) fit the age bracket it would be great to have you come along. Please contact us to find out more!